We explore the impact that Brexit may have on the arts in London, the UK's capital. he Arts Hour on Tour is in London, the capital of the UK. Currently in the throes of political turmoil, we explore the impact that Brexit may have on the arts here. Nikki Bedi is joined on stage in the BBC Radio Theatre by Bafta award winning film producer Stephen Woolley, who tells us how important London is to the film industry. Performance poet and playwright Debris Stevenson talks about why London was the birthplace of grime music and director of Tate Britain Alex Farquharson tells us about the power of visual arts in the capital. Author Ayisha Malik takes us on a cab tour of her favourite hidden cultural gems in London. 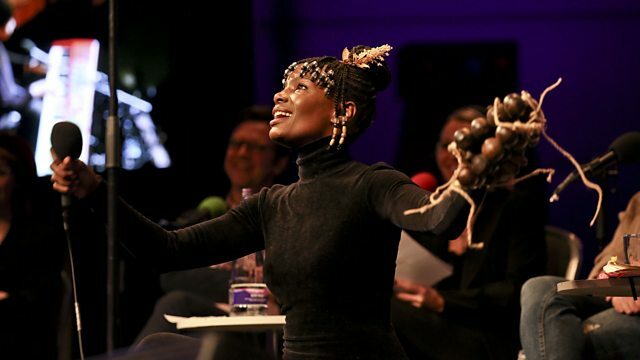 We have music from Shingai and London trio Benin City. Plus comedian Elf Lyons will provide the laughs. Recorded in a different city around the world each month.